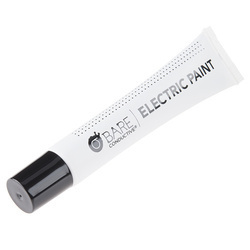 Our product range includes a wide range of bare conductive electric paint 50ml, bare conductive electric paint pen 10ml and bare conductive electric paint 1l. Touch Board, Pi Cap, electrical components, prototyping materials, PCBs, microcontrollers, Arduino, Raspberry Pi, MaKey MaKey and e-­textiles. Use with the Touch Board or Pi Cap to make touch sensors. Design, discover, create. Your design and electronics projects are about to change forever. 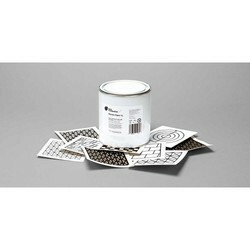 Paint circuits and sensors, or use Electric Paint as a conductive adhesive on almost anything including paper, plastic, textiles and conventional electronics. Put this flexible, revolutionary little tube in your toolbox today. The Touch Board, Pi Cap, electrical components, prototyping materials, PCBs, microcontrollers, Arduino, Raspberry Pi, MaKey MaKey and etextiles. Why not try using it with the Touch Board or Pi Cap to make touch sensors and switches. Electric Paint can be used to fix key fobs or remote controls. So don’t throw yours out yet! Just follow our online tutorial to get yours working today. Store in a cool dry place. Use within 6 months of opening. This product has not been tested with an electrical source exceeding 12V DC or 50mA therefore use with higher voltages is not recommended. Use in accordance with the battery manufacturer’s instructions. Do not ingest. Children under the age of 14 must be supervised by an adult whilst using this product. Can be removed with soap and water. Touch Board, Pi Cap, electrical components, prototyping materials, PCBs, microcontrollers, Arduino, Raspberry Pi, MaKey MaKey and etextiles. Use with the Touch Board or Pi Cap to make touch sensors. 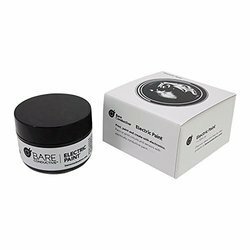 Looking for Bare Conductive ?